The debut album from these indie rockers generates a sense of forgettable déjå vu. Like many indie bands today -- like many bands in general -- Unknown Mortal Orchestra make merit of obscurity. New Zealand native Ruban Nielson started the band, according to its website, "to hatch a new musical dimension where his vision of junkshop record collector pop could be realized in a sound that recalled Captain Beefheart, Sly Stone, and RZA jamming on some kids TV theme too dark to ever be broadcast." In the unlikely event of such a cross-genre, cross-decade jam session, I would imagine that even the most eclectic of connoisseurs would struggle to untangle the various threads of influence and impact; fortunately, no such analysis will be necessary. The reason is that Unknown Mortal Orchestra does not sound all that mind-bending, or even unusual. It simply sounds a bit scattered and a bit nostalgic, as one might infer from Nielson's self-assigned mission statement. The group's lead single, "Ffunny Ffrends", is a piece of playful, faintly robotic indie pop, similar in mood and color (if not in texture) to the sprightly chirpings of groups like Cults and Tennis. Track two is "Bicycle", a plodding, more overtly psychedelic reflection on man's best two-wheeled friend. From there, the band skitters all over the territory in between, stopping momentarily to dwell on soul-inflected retro-rock ("How Can U Luv Me" -- note the ironically anachronistic title) and methodically contemplative imagery ("Little Blu House" -- note the ironically modernistic title). Nielson and company coat everything in a thick gauze of antiquated-sounding fuzz, so much so that you can hardly understand anything he says. When it works, the effect is pleasantly insulating, not unlike watching old, grainy film reels in thoughtful silence. On the whole, though, the DIY, back-to-the-future ambience makes Unknown Mortal Orchestra sound like the work of a well-adjusted, well-nourished and relatively uninspired Ariel Pink. Even the record's sparklers, such as "How Can U Love Me" and "Boy Witch", give one a baffling sense of incongruity, as no two songs set the same purpose for listening. One moment, we're smiling and reliving old love affairs; the next, we're gazing at clouds in a state of slack-jawed zen. It would seem that Sly Stone and Captain Beefheart are having trouble cooperating. 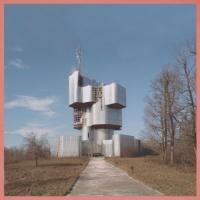 Unknown Mortal Orchestra is an ambitious debut, there can be no doubt about that. But too often, the careful distribution of musical allusions and sonic ambiguities devolves into perfunctory assertions of individuality. It would seem that Nielson's preoccupation with making the group sound diferent has made it sound unlike even itself. No matter how curious or inviting the artifacts, after too long, even record collectors' ideal junkshop will give them toxic shock.